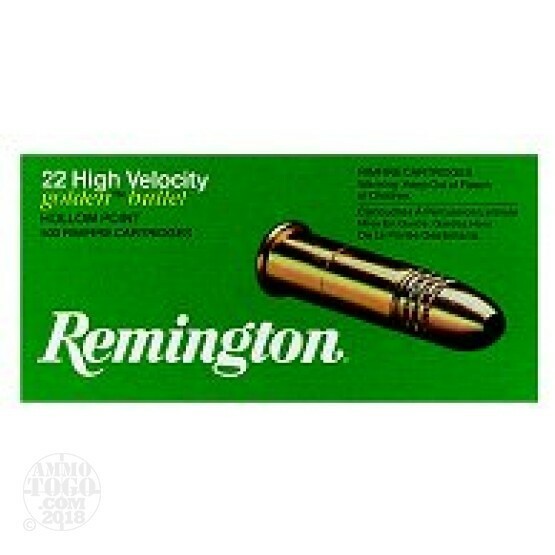 This is .22 LR Remington 36gr. Game Load Hollow Point Ammo. This ammo has a muzzle velocity of 1280 FPS. This ammo is a reliable and clean plinking ammo. It has a brass jacketed bullet to keep the lead residue down in your barrel. This ammo is packed in 40rd. boxes.